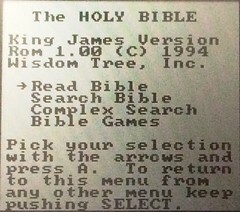 Wisdom Tree, Inc. is a company that produces Christian-themed video games; their website is at http://www.wisdomtreegames.com. 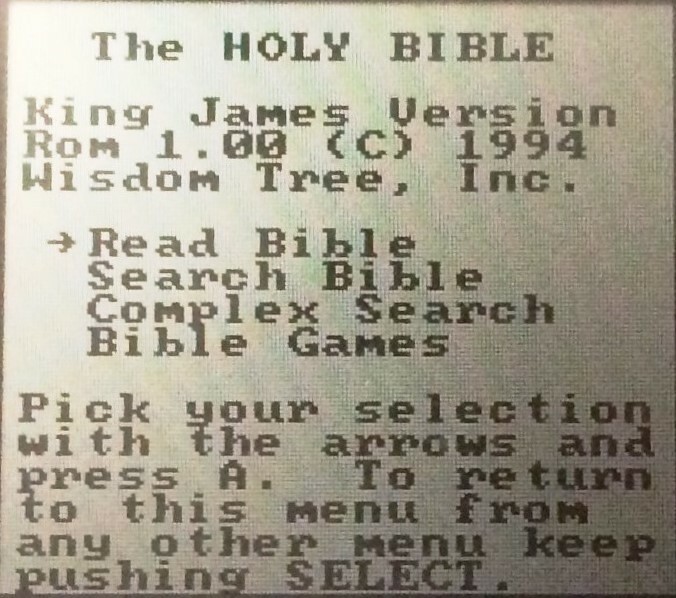 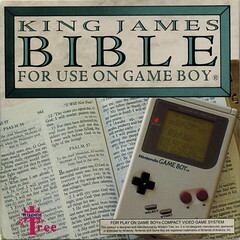 This item contains the King James Version with a word search engine and games. 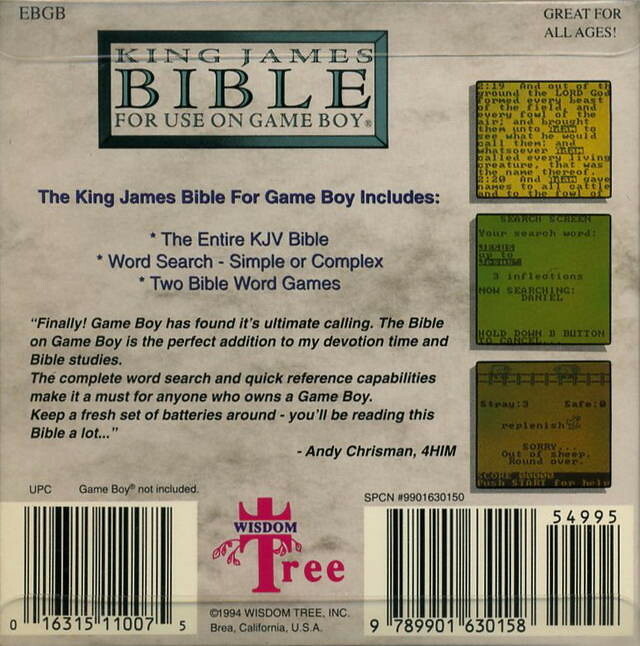 Title: The Holy Bible King James Version Rom 1.00 (C) Wisdom Tree, Inc. 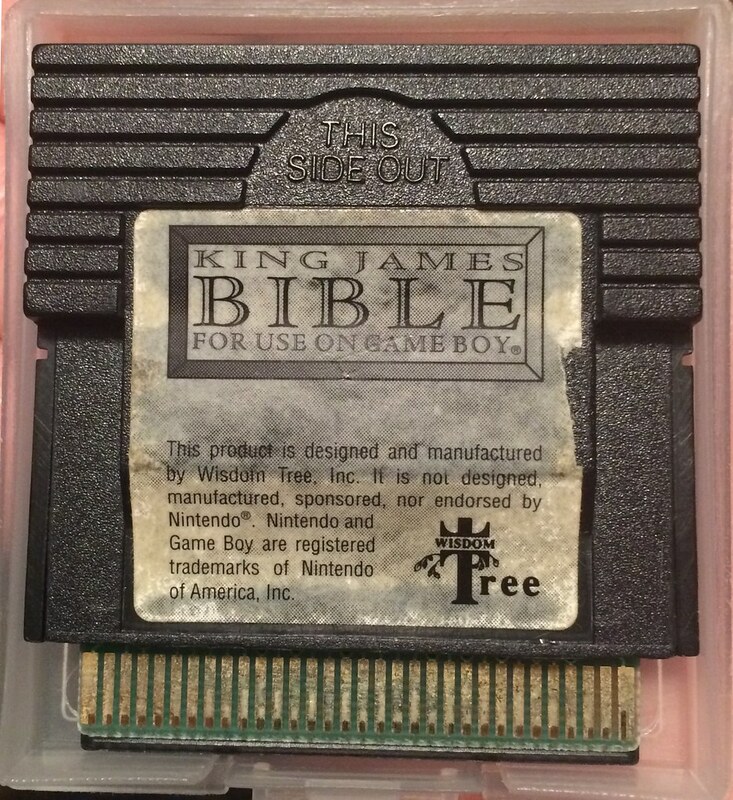 Images: Box front, Title, cartridge, Box back. 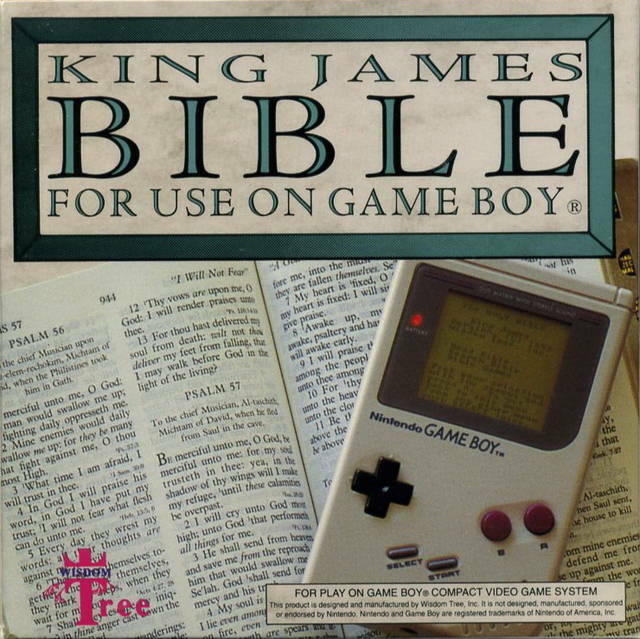 Comments: This is a cartridge for the Nintendo Game Boy portable video game device.